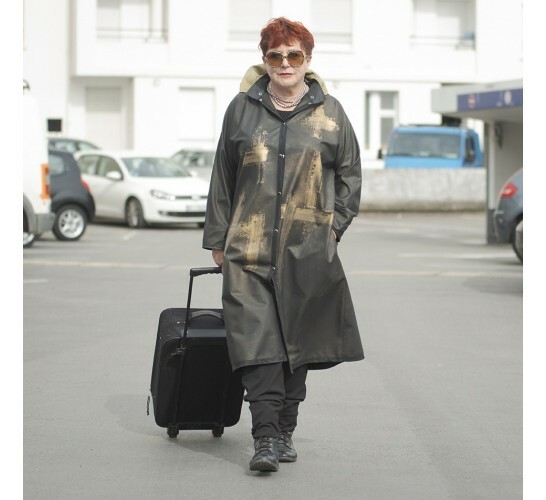 Raincoat "Soulage" designed and handpainted by iris mansard. Metal brushing,strong. Lines of emancipation. The woman is decided, strong and determined, existence. The raincoat "Soulage" is a exclusive wearable art. It is more than a raincoat, it is a travelcoat, a allweather coat, a windbreaker, a statement.